An abbreviation used in reference to the 8 Dimensions of Excellence framework. An answer is a complete, accurate response (or proactively delivered information product) which satisfies the customer’s question on the first attempt. Answers are products. An expectation or design characteristic of a product, process or outcome. All attributes are measurable. Performance attributes describe objective criteria. Perception attributes describe subjective criteria. A customer who acts as an agent for the end-user and/or the producer. As an agent for the end-user, the broker makes the product more accessible, easier to use and more appealing. As an agent for the producer, the broker “encourages” the user to accept the product. Pronounced as see three. This is used as an abbreviation for customer-centered culture or in reference to the C3 system, philosophy, principles, and tools deployed to transform culture. This is a class of product or process attribute which includes accuracy, reliability, consistency, predictability and safety. An organization’s culture reflects commonly shared language, beliefs, values, relationships and behaviors. Whether a culture is producer-centered or customer-centered depends on whose needs primarily direct the development, creation, and modification of products. The measures used to manage the organization reveal the culture’s priorities. A customer’s role is always determined by a specific product. A customer’s role may change if the product changes. A customer can have more than one role simultaneously in relation to a single product. The total elapsed time or duration of a process, as experienced by customers. Includes value-added time, delays, inspections and rework, usually measured in days. The customer for whom the product is primarily intended. This customer will personally use the product to achieve a desired outcome. There are usually more of this type of customer than any other. This is the most important type of customer to satisfy. Excellence means best from the customer’s view, either as experienced or as an aspiration. It is not corrective in emphasis. It suggests a new level of success that has not been surpassed. Customer expectations are the basis for determining what “quality” means. Customers have expectations about the performance and perception attributes of the product as well as the outcomes to be achieved by using the product. Perception expectations are stated in the “voice of the customer” which may not be directly measurable. They have to be translated by the producer into precise design criteria which are directly measurable. Producers sometimes refer to these translations as requirements, specifications, needs or standards. None of these terms are as inclusive as expectations; they reflect the minimum to be achieved by the product and generally are focused on performance attributes. Expectations are based on the customers’ past experience with products. Wants are desires focused on optimums (vs. minimums) and hopes (vs. past experience) regarding a product or outcome. An experience may be personal or vicarious. Any customer who will have to make repairs, corrections, modifications or adjustments to the product at any point in its life cycle on behalf of the end-user. An abbreviation for “I don’t know”. An IDK is a question perceived by the requestor to be answered inaccurately, incompletely or not at the time first asked. An IDK does not necessarily mean “I don’t know” was explicitly stated. Since answers are products, IDK responses indicate an out-of-stock condition that should be measured and reduced. Innovation refers to the process of making a desired outcome easier to achieve. 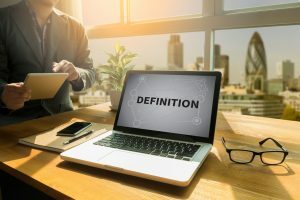 This ambiguous term can refer to an activity, a resource, a response, work, talent, a product, or undefined communication. Replace with PRODUCT. Someone who approves others’ work. Linguistics is a field of study concerned with the meaning of words. Linguistics is used to uncover values embedded in a word or statement. Those values can influence relationships and elicit or provoke specific behaviors within a particular culture. The purposeful use of words recognizes that seemingly slight differences in word choice can evoke significant differences in meaning. The C3 system uses the power of linguistics in word formulas to uncover the voice of the customer. See SEMANTICS. Statement of organizational purpose and scope. Counts of things, organized by category. A measure reflecting rank, priority, sequence or rating. A purpose or result that is sought or achieved. This ambiguous and commonly used term often confuses results with deliverables. Replace with OUTCOME or PRODUCT. These are unambiguous, objective and directly measurable attributes of a product, process, or organization. Performance expectations address specific amounts of quantity, frequency, cost, elapsed time, weight, distance and so on. These are subjective criteria regarding the desirability of a product, process, person, organization, or other subject. Perception expectations are often synonymous with the voice of the customer (VOC) and include product attributes such as easy to use, timeliness, accuracy, certainty, cheap, concise, quick, and complete. Any detailed scheme, program or method worked out in advance for the accomplishment of an objective, task, or project. The ability to direct or change the design of a product. Degree of variation from a promised/expected delivery or completion time. The (1) sequence of activities or (2) flow of products which creates some final product. Many processes usually contribute to the creation of a single final product. This is the person or group that creates a product for a customer. Something created by work which can be given to someone else to achieve a desired outcome. It is a deliverable, a noun, packaged in countable units and expressed as something which can be made plural with an “s”. This ambiguous term is treated as synonymous with supplier and commonly used in healthcare. In practice, a provider may be a producer, broker or supplier. See BROKER, PRODUCER, SUPPLIER. This refers to the definition of acceptability, offered either explicitly in written requirements developed by customers or as defined by current industry (producer) standards and technology. The absence or reduction of “things gone wrong” often determines the degree to which quality exists. Quality is a necessary but insufficient basis for leadership. See EXCELLENCE and SATISFACTION. A reference product is used to guide the creation or production of another product. Examples are specifications, procedures and standards. Reference products are usually technical, detailed and provide little flexibility for interpretation and application. These are more tactical than SOURCE PRODUCTS. The simplest kind of relationship measure is expressed as a ratio or fraction. Others include measures of correlation, prediction, or regression. The degree to which an experience with a product, outcome or process meets customer expectations; what they get is what they want. It is the feeling of contentedness which occurs when an expectation is matched by an experience. Dimensions 1-4 in the 8DX framework drive satisfaction. A statistical term. Its non-technical usage refers to 3.4 defects or errors per million products or process steps. Source products include strategies, plans and policies. They are produced by leadership to create a bridge between the organization’s mission (why we are in business) and processes (how we perform work). The adjective, source, is intended to suggest these documents are the ultimate source or cause of all practices that advance or constrain excellence. Source products represent the voice of leadership (VOL) and are the directing influence on major business practices. They define the purpose or intent of an organization, process or outcome. Most source products are created exclusively for internal consumption. Given these alternatives, it is unfortunate that standards are most commonly treated as minimums, producer-defined (vs. customer-desired), rigid, slow to change and tied to objective (vs. subjective) performance measures. Achieving a specified standard is rarely comparable to demonstrating excellence as customers would wish. An overall plan for projecting the organization toward a goal or desired outcome. An SQC may also be referred to as a product design characteristic (PDC) that consists of two parts: a unit of measure and a performance attribute of the product or process which is directly measurable. SQC’s translate customer expectations or the voice-of-the-customer (VOC) into design criteria for both products and processes. A supplier is a person or group that gives a product to a customer. The traditional use of this ambiguous term includes, but does not differentiate, the three roles suppliers can play as (1) producer of a product, (2) broker for a producer or (3) broker for an end-user for a product. This is why the C3 system does not use this term. See PRODUCER, BROKER, C3. A tactic is a maneuver or technique for obtaining an objective specified by a strategy. A desired future condition; an expected outcome. A limiting assumption. It is used as justification (often unfounded or inappropriate) for current practices. An excuse for not changing. It can prevent pursuit of the possible. It is aA term coined by Henrik Ibsen, playwright. Expectations of the product, as stated by the customer. These expectations are often expressed in subjective terms which may not be directly measured as objective criteria. The intent, direction, and priorities leaders have of their enterprise, articulated in strategies, plans, policies, and other guiding documents. Refers to the detailed translation into procedures and processes of what managers believe leadership wants. This refers to the expectations about the context of work, the products workers receive, and the processes they are required to use to satisfy the VOL, VOM and VOC. Dissatisfaction expressed by the voice of workers is a good indication there is perceived conflict between what they hear from VOL, VOM and VOC. Employee engagement is enhanced when all voices are in alignment. Customer. Common synonyms include: client, stakeholder, partner, taxpayer, patient and guest. The confusion can be compounded by organizing customers according to location (internal or external). The term is often used without reference to a specific product. As a practical matter, a person can only be a customer in terms of a product. Replace customer with end user, broker, or fixer. Output .This is often confused with a deliverable (see product) or a result (see outcome). Service. It is virtually impossible for members of an organization to agree on what this means. Service is most frequently used as a verb to describe reactive activity (e.g. help, support, assist, fix). But it can also be used as a noun (e.g. legal services) or as an adjective (e.g. service center). What cannot be defined is difficult to manage, measure and improve. Supplier. This can refer to a person or group that gives a product to someone else. Replace supplier with broker or producer, depending on the relationship with a given product. Percent correct on the first try. For more information, see pages 116-118 of the “Creating a Customer-Centered Culture” text.